Hello Friends, We have gotten into a rainy pattern over the last few days here in sunny Florida, which is not a bad thing as we really needed it. Plus it gave me a great reason to head into my studio and play a little. A good friend of mine is hosting this week’s MIUM challenge over at Stamp TV, and I didn’t want to miss out. I paired her great challenge of masking up with this wonderful sketch over at Freshly Made Sketches. I love starting my creativity with a sketch it really gives me that push I need to get my juices flowing. I then stumbled upon this great new challenge site called CAS-ual Chic. It is a sister challenge of the popular Casual Fridays Challenge. Over there they are encouraging us to use layers The UAL in CASUAL stands for Utterly Adorable Layers. Isn’t that cool! This week they also want us to use embossing, so I jumped right on board. I really had quite a difficult time getting this photo to come out well. Every time I took it in doors it looked washed out and you couldn’t even see the vellum leaves or the intensity of the inks I used. So I waited till dusk and that seemed to help quite a bit. I just wanted to explain why the photo is so dark. I can’t tell you how fun this card was to make! I had to mask multiple butterflies at once to get the effect I was looking for. I really, really love this masking technique! Then you pair it with Emboss Resist and WOW! Thanks sooooooo much Barbara! I had so much fun I went ahead and made two cards, but you will see that one in a few weeks. Here is a little card info: I heat embossed with white embossing powder. The stamps are from Gina K-Take Flight and Happy Birthday Duo. I also used my Sizzix leaves die with vellum. Love that look!! The inks are a little bit of Momento and TH distressed inks. 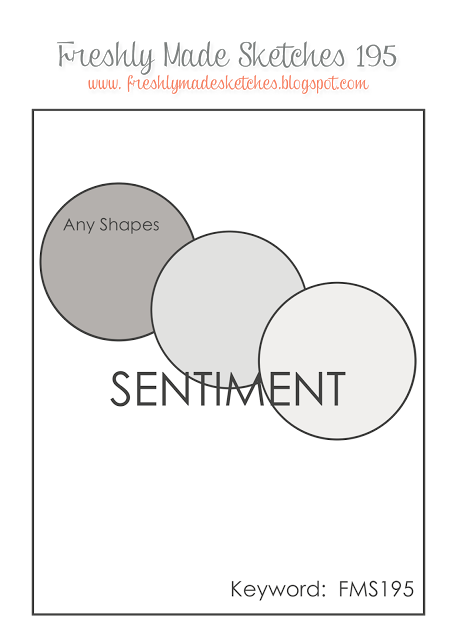 Categories: Cards | Tags: Card making, Cards, emboss resist, Gina K designs, Happy Birthday, heat embossing, rubber stamps, stamping | Permalink. You never cease to amaze me combining challenges like you do. This is absolutely gorgeous! Love the butterflies, colors, those pretty vellum leaves. It is a sure Winner! Beautiful and colorful. Love the butterflies, vellum leaves and pretty colors. Great card my friend. I know what you mean about the rainy pattern, almost every day, but you are right, we need the rain. So pretty with all of the vellum and embossing! Glad you joined us at FMS! So soft and pretty, Nancy. Nancy, I had to pull this up on the desk computer so I could see it better before I made a comment. It is a winner for sure. Too bad this challenge is random. This is amazing and if I had anything to say about it. it is absolutely amazing and exquisite. You are to sweet!! I’m so sorry I couldn’t get a good picture!!! I appreciate you!! A beautiful birthday card and I love those soft colors you chose. What a lovely card! Love all the vellum and those soft colours! Beautiful butterflies! Thanks for joining us this week at Freshly Made Sketches! Love all of your beautiful butterflies! Ugh, rain…..we have been ‘swampy’ here for a few days, the sounds and sights and smells of rain…..but NO rain! Grrrr…..
Beautiful card and love the colours you have used Nancy. 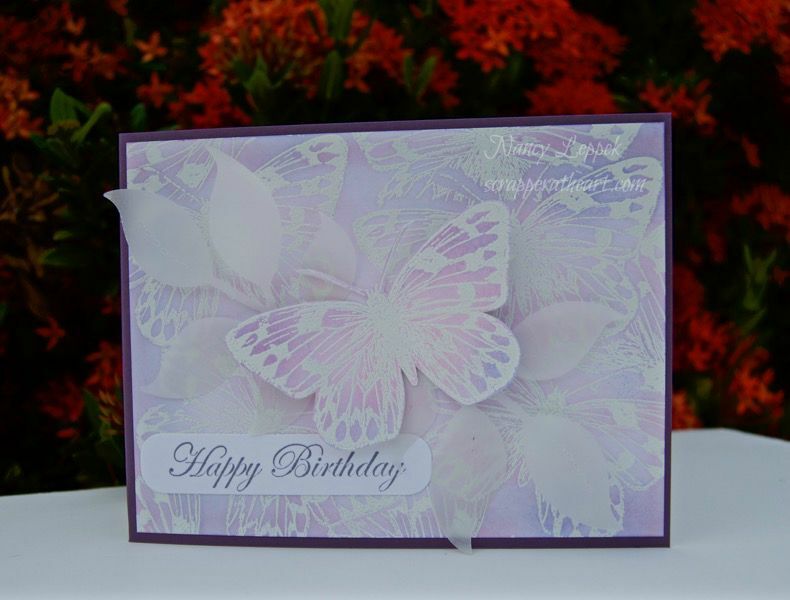 LOVE the white embossing and the pretty colors, Nancy! Very pretty, Nancy! LOVE white embossing 🙂 Thanks for playing along with our NEW CAS-ual Chic challenge! Hope to see you again! Wow it looks fantastic. 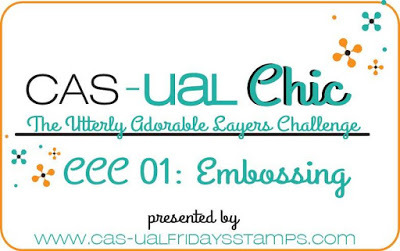 Thank you for joining us over the CAS-ual Chic Challenge Blog. Hugs, Susanne. that is such a delicate card!